Headquartered at Mumbai, India, A.T.E. Enterprises handles industrial sales, distribution and service in the domains of textile engineering, cooling solutions, wastewater solutions, energy efficiency solutions, flow technology, and print and packaging solutions and machine-to-machine solutions (M2M). 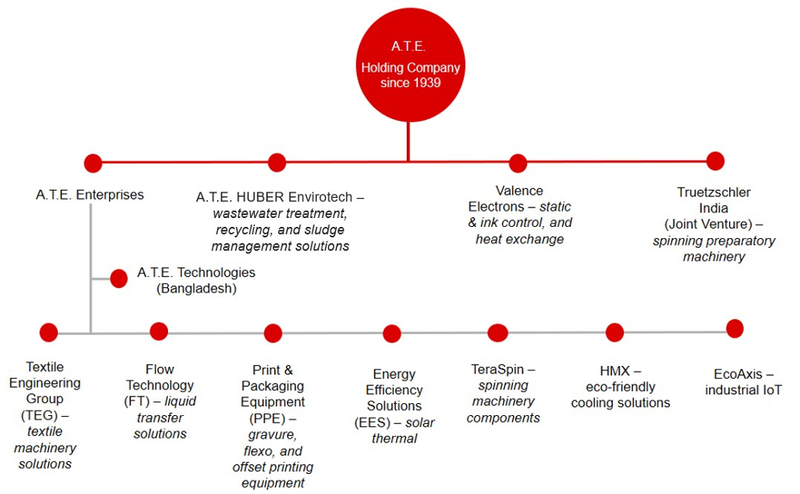 Located at Bengaluru, India, Valence provides a range of high quality electro static, ink handling, surface cleaning, and heat recovery solutions across several industry verticals.